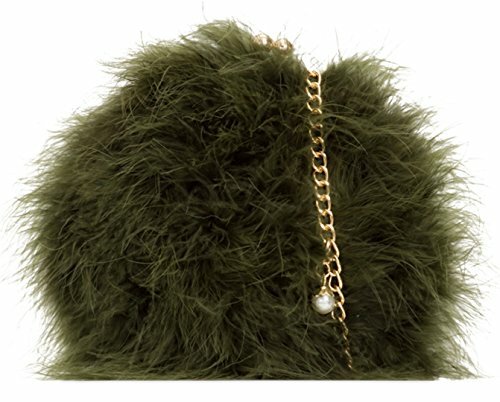 Retro faux fur clutch bag with metallic frame and balls closure. Comes with a shoulder chain strap. Has a small pearl attached.